As you can see, this is an ongoing knitalong for the Irish Hiking Scarf. New members are welcome to join! Can't open the PDF file? Want to join? Click here. The latest addition to my growing collection of Irish Hiking Scarves. 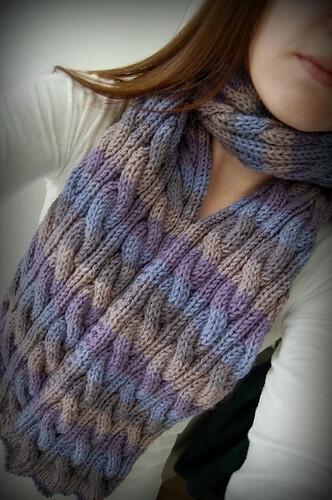 Made by 2 skeins of Universal Classic Worsted. I love the colours! Is it a varigated yarn? I could see me in that colour. Thanks! So glad you like it. The yarn is super soft. Love the colors! Great choice!